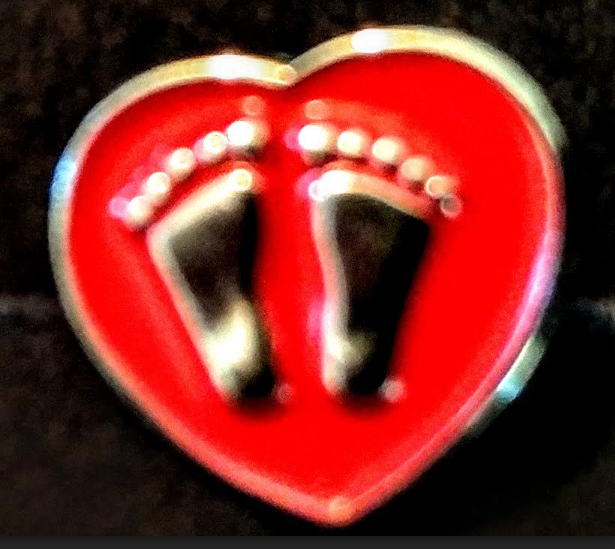 OHIO HEARTBEAT BILL HEARING THIS MORNING IN OHIO HEALTH COMMITTEE -Please pray! Federal Heartbeat Bill Introduced & Heard in Congress What a Year! * Last year at this time, we were on the precipice of passing the Ohio Heartbeat Bill which had been stalled in the Senate for six long years. It passed in December of 2016, but was heartlessly vetoed by Gov. John Kasich. Even though we had the votes to override his veto, we couldn't get the members to come back from their Christmas vacation for an override vote. 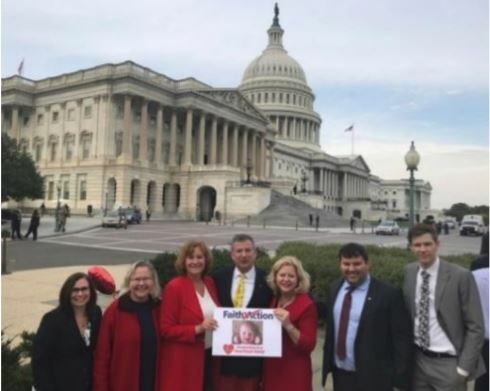 * The Ohio Heartbeat Bill, reintroduced for the fourth time, with 50 co-sponsors, is being heard in the Ohio House Health Committee this Wednesday. 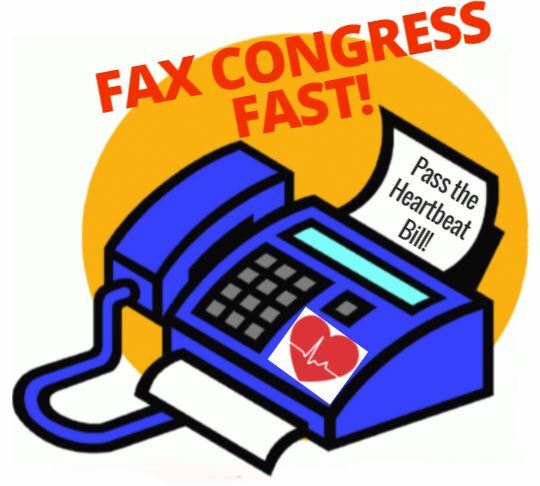 * Congressman Steve King (R-Iowa) introduced our federal Heartbeat Bill on January 12, 2017. At our press conference in front of the U.S. Capitol, a group of Congressman joined me and over a dozen pro-life group leaders to announce the bill's introduction. Then, the job of adding co-sponsors began. 170 co-sponsors-more than any other pro-life bill in Congress! 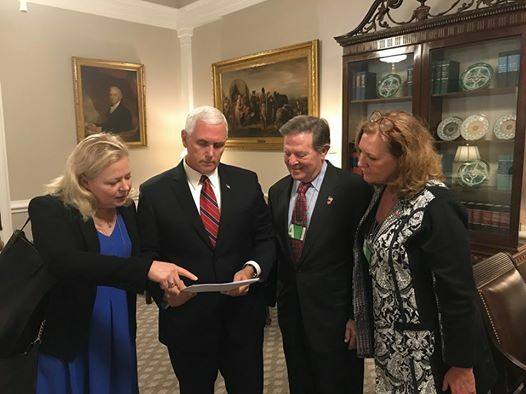 and promised to deliver our letter signed by more than 120 pro-life group leaders to President Donald Trump. , and brought it up to one of our national leaders who met with him! * We also presented more than 100 "Heartbeat Hero Awards" to co-sponsors and to Congressional wives who helped us in our efforts. Law. 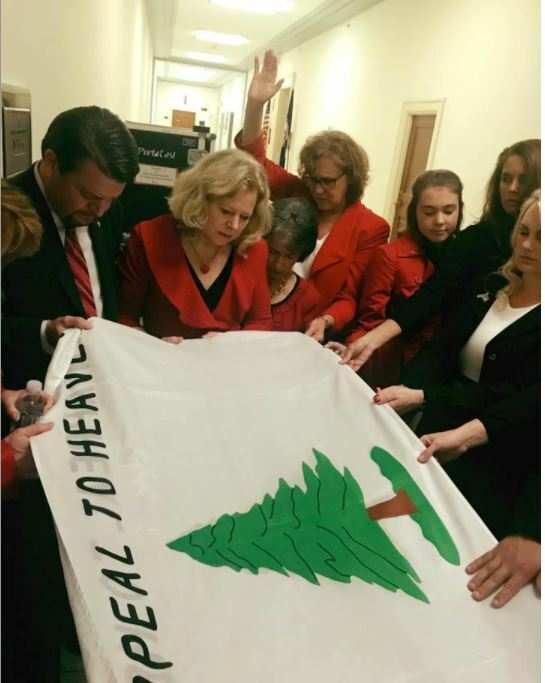 We worshiped and prayed for several hours before the hearing began, holding our nation's first flag, An Appeal To Heaven. That was the flag commissioned by President George Washington to fly on our first naval ships in the Revolutionary War-when we "didn't have a chance to win a war against the most powerful nation in the world." Yet we did. Likewise, no national poll or pundit thought God would give us mercy in the Presidential election-yet He did. There are those who say we won't end abortion, but as we made an "appeal to heaven," I had (and have) no doubt that we will. * Our Heartbeat Bill hearing in the Judiciary Subcommittee, chaired by sponsor Congressman Steve King, featured primary bill drafter Professor David Forte, Star Parker, and former abortionist Dr. Kathi Altman. 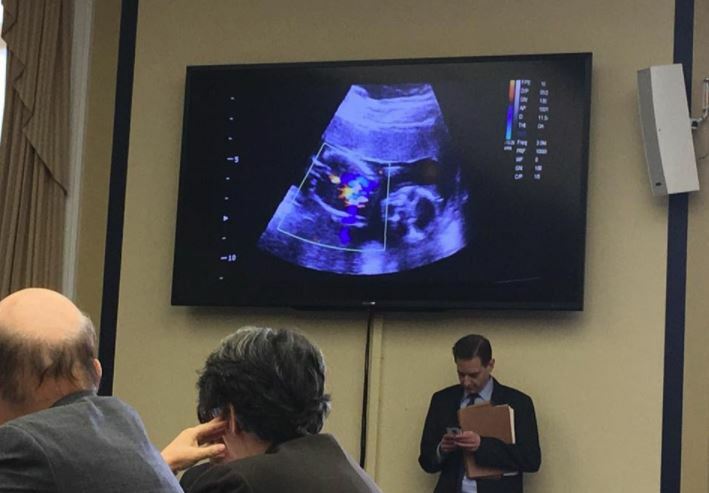 But the star of the hearing was the youngest to ever testify in Congress-18-weekold unborn baby Lincoln, whose heartbeat could be seen and heard by the committee. * My favorite moment of the hearing was when the room fell silent and all eyes were turned to the screen and baby Lincoln's beating heart was seen and heard by all. At that moment, one previously vocal pro-abortion protester was seen wiping tears from her eyes. That's when it dawned on me, if the heartbeat of this baby can reach even the hardest of hearts, it can touch the heart of America. before going to the Senate. and Speaker Paul Ryan to make sure the Heartbeat Bill becomes the next pro-life bill passed in Congress, hopefully by January 19, the day of the March for Life in Washington. Click the button to send a fax! * We also generated tens of thousands of emails to every Republican Congressman's Chief of Staff, Legislative Assistant, Communication Director and Scheduler until they were so overwhelmed, they begged us to stop! We are ready for a Committee vote and a Floor vote. Vice President Pence is ready to break a tie in the Senate. And President Trump is ready to sign our Heartbeat Bill into law. Look at what God has done in a year! Help us get a National Heartbeat Law by next year! Thanks to your support, we are nearly half way there. Please givegenerously so we can cross the finish line to have a national Heartbeat Law by next year along with a veto-proof Ohio Heartbeat Law! Heartfelt thanks for never giving up!